Cycling is such a big part of our culture in Sonoma County and this weekend Santa Rosa will host the start of the Amgen Tour of California. 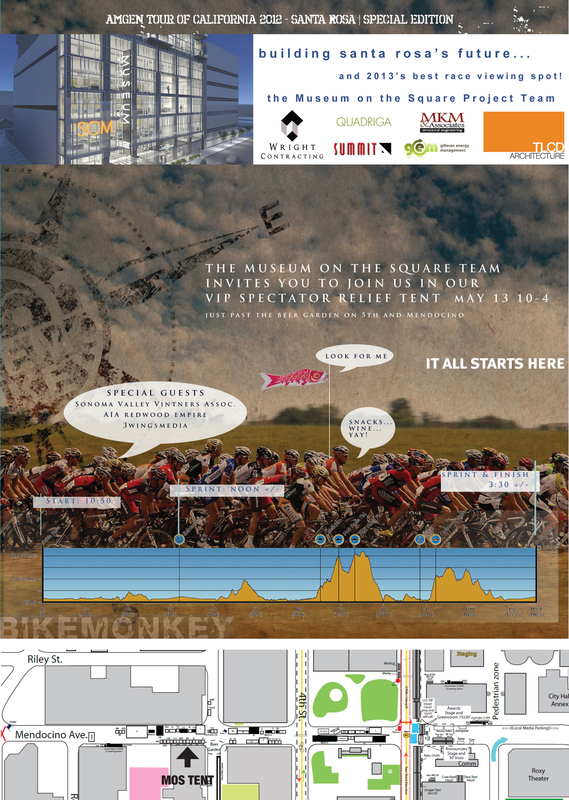 TLCD Architecture is thrilled to be a sponsor of this premier event with the Museum on the Square Project Team. The team of Wright Contracting, TLCD Architecture, Summit Engineering, Quadriga Landscape Architecture, MKM Structural Engineers, and Gilleran Energy Management invites friends, family and colleagues to join us at the VIP Spectator Tent on May 13th between 10:00 am and 4:00 pm. You’ll find our tent near the Beer Garden at 5th Street and Mendocino Avenue. Don’t miss out on the fun… be there!